The goal of the Charles Drew High School Pipeline Program is to increase the number of underrepresented minorities and economically disadvantaged persons in the health professions by providingmentorship and a strong support network for high school students. In Fall 2008, the Charles Drew Premedical Society started a new initiative?? 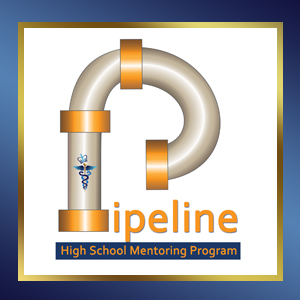 ?its very first mentoring program called the High School Pipeline Program. This mentoring initiative was created as a way to positively impact the community and increase the number of minority, underrepresented, and economically disadvantaged persons in the medical field. The program pairs each high school student with a mentor, a Columbia or Barnard premedical student, who helps to guide them through the college application process and offer advice about academic issues. The overall goal of the Pipeline Program is to create a strong support network for each of its mentees and help ease their transition from high school to college. In our second year of sponsoring the program we have hosted a number of fun and informative events and reached out to more high school students throughout New York City. Our participants come from various schools including Cathedral High School, Manhattan Center for Science and Mathematics, and Fredrick Douglas Academy VII. Our program currently consists of 38 mentees and 32 mentors. Pipeline is unique in that in addition to pairing each student with their own premed mentor, we offer college admissions counseling with university administration, campus visits, pre-med workshops and panels, as well as social events. For more information about joining the program, e-mail any one of the co-chairpersons of the pipeline program (see Current Executive Board) or the general email cu.pipeline@gmail.com.